How do elite athletes lead themselves? 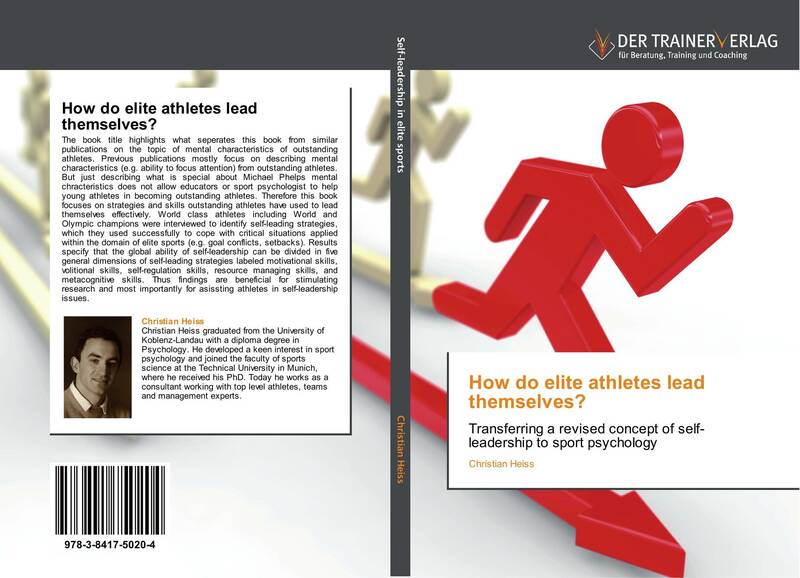 Buchcover von How do elite athletes lead themselves? The book title highlights what seperates this book from similar publications on the topic of mental characteristics of outstanding athletes. Previous publications mostly focus on describing mental characteristics (e.g. ability to focus attention) from outstanding athletes. But just describing what is special about Michael Phelps mental chracteristics does not allow educators or sport psychologist to help young athletes in becoming outstanding athletes. 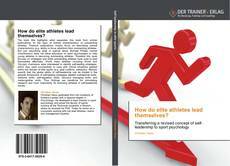 Therefore this book focuses on strategies and skills outstanding athletes have used to lead themselves effectively. World class athletes including World and Olympic champions were interviewed to identify self-leading strategies, which they used successfully to cope with critical situations applied within the domain of elite sports (e.g. goal conflicts, setbacks). Results specify that the global ability of self-leadership can be divided in five general dimensions of self-leading strategies labeled motivational skills, volitional skills, self-regulation skills, resource managing skills, and metacognitive skills. Thus findings are beneficial for stimulating research and most importantly for asissting athletes in self-leadership issues.